Pollution and stress does not only take its toll on us (women) but even on men. And if the men have jobs that involve a lot of daily commuting the usage of good skin care products that keep skin related problems at bay and keep them looking smart and fresh is critical. 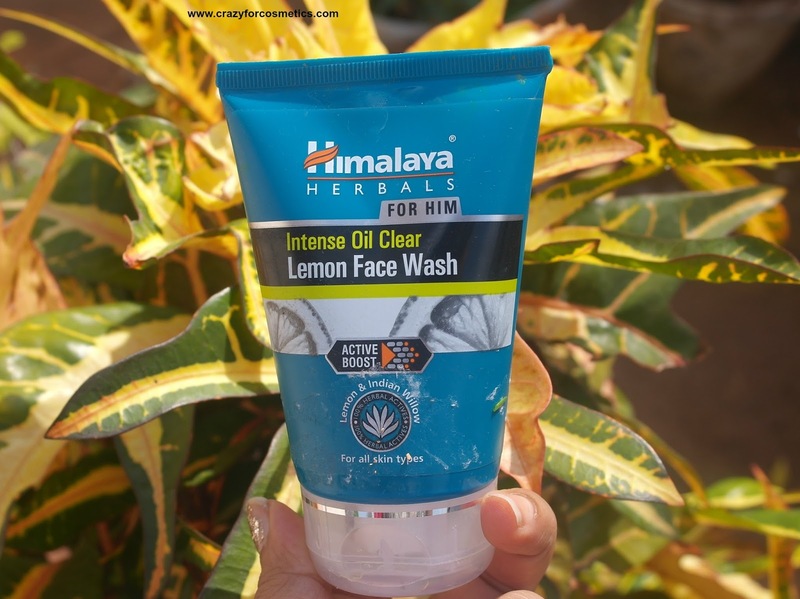 Kudos to brands that come up with products for men that keeps them looking at their best is affordable too.Today I am going to share my husband's opinion on The Himalayas Lemon Face Wash for Him. How many of us love wearing lipsticks? How many of us carry that around for the purpose of reapplication ? Definitely I am not one of them who has the patience to carry it with me & re apply after few hours.There is good news for those who are like me who hate re applying lipsticks every few hours and would like it to stay intact for hours together surviving several drinks & meals. HOT, MUST-HAVE SHADES THAT LAST ALL DAY. MAKE A STATEMENT WITH RICH COLOR THAT STAYS PUT FOR UP TO 24 HOURS. 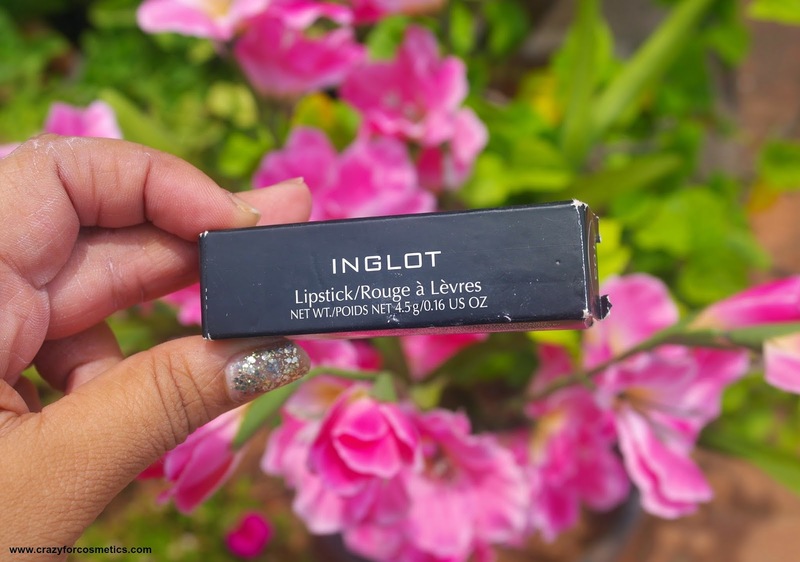 The original long-lasting lip color is the perfect way to make a lasting impression. Now with a new applicator for true bold color that stays put all day. Moisturizing balm gives a smooth finish with luscious shine. Bored of the usual black liners ? 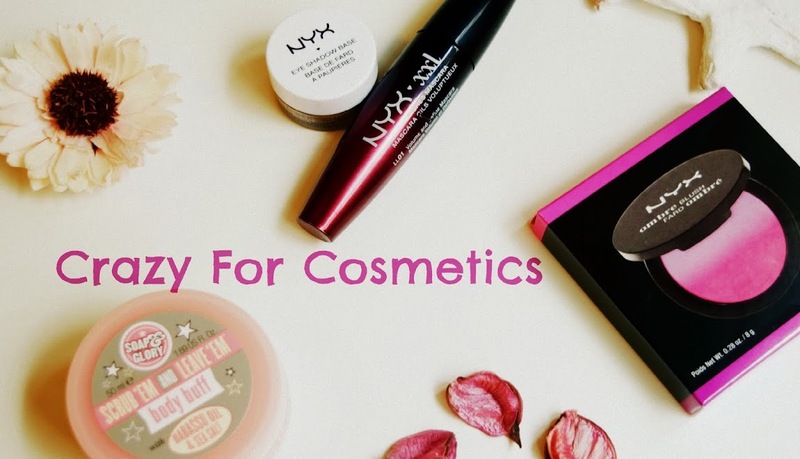 Want to add some pop of color to your makeup and yet look classy? 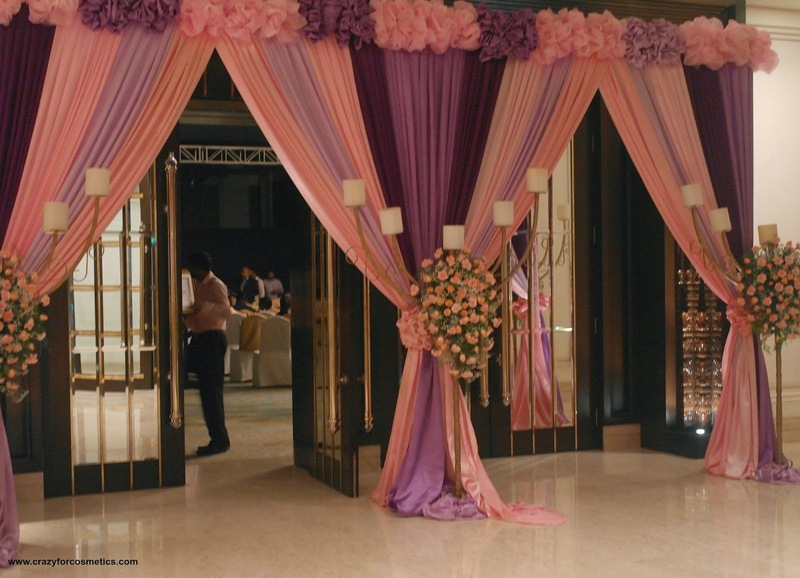 There are some timeless colors that will never get out of the trend league and one such is the mauve/purple shade. I am a big fan of the eggplant shade(brinjal) be it in outfits or in liners or bags. 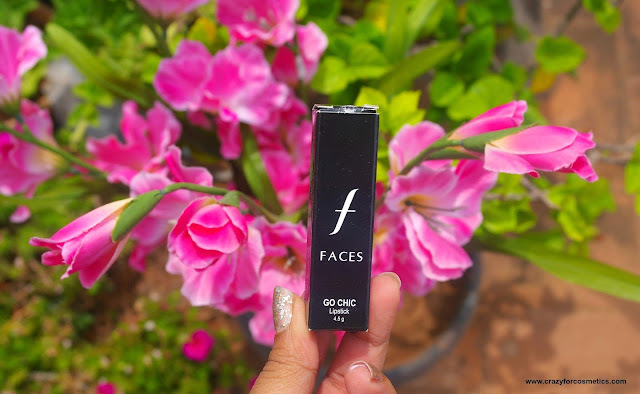 I recently laid my hands on this beauty from Faces Canada and I am so happy that I got this.It is one of the most versatile shade ever and you can club it with ethnic or modern outfits, or in the day or in the night and yet stay classy! 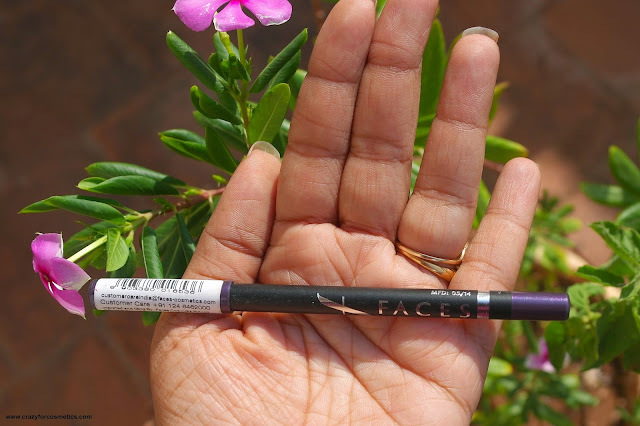 The liner I am talking about is the Faces Canada Eye Pencil in the shade mauve/purple. In all my blog posts, I have either directly or indirectly mentioned that I love accessories so much and it defines me as a person. 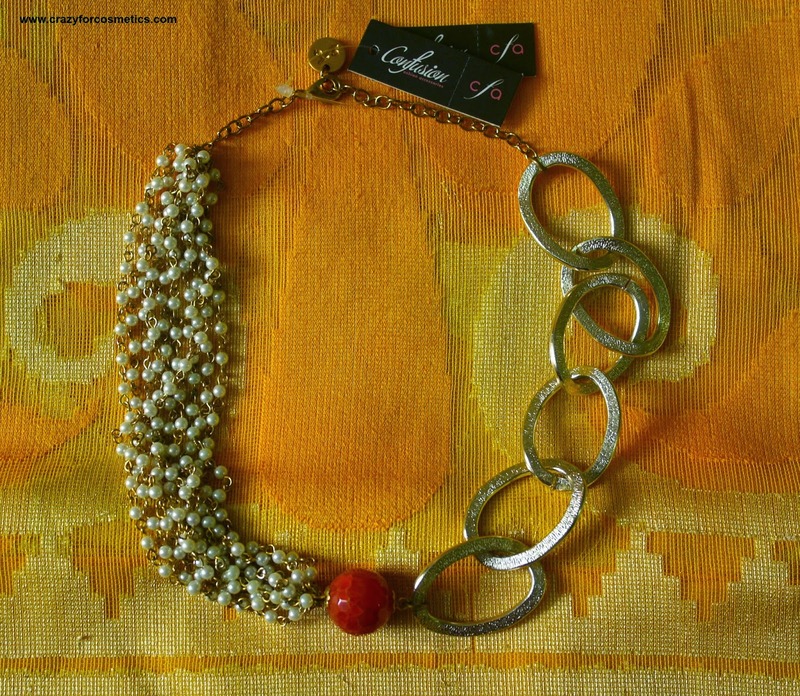 I am an accessories hoarder, no doubt, but I do use them and they last a lifetime.This is a long pending post as I did not find time to click proper pics of the new traditional jewelry that has joined my collection. Of course, there have been a few posts on the blog where I have even worn them , but I need to give them some due respect by featuring them separately for the love I have for them. 1 : South Indian Terracotta jewelry : I bought 2 terracotta sets and one jhumka from a direct seller in Pollachi, TamilNadu. I came to know of her through a friend and placed my order by sending sample pic to her through whatsapp. I had ordered a necklace & earrings set from her prior to this and I have worn it here. 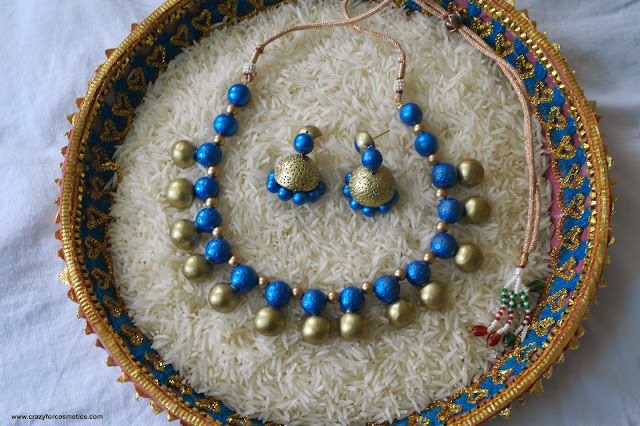 2 : Chandbalis & Jhumkas : You can read the story behind this here. I started blogging only because I wanted people to see whether they are investing wisely in products that they like. 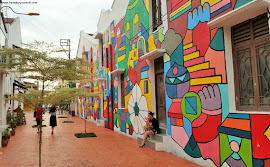 Only after I started blogging did I know , that bloggers play an important role in influencing the readers quite a bit. 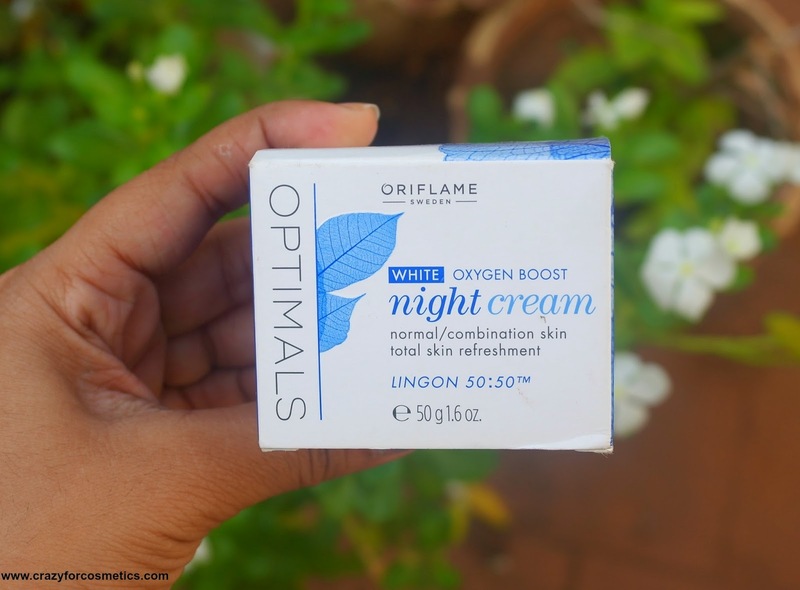 Brands consider us (bloggers) as a positive way of influencing the market & customers and tie up with us by either giving us samples for review or by inviting us for their new launches, so that we can bring them to the notice of the common public. I was invited to attend the launch of Dunkin Donuts in Phoenix Mall,Chennai and I must admit it was the most brilliantly organized event. In India, food has always been a mode of showing love and definitely Dunkin Donuts fed us si much that I think I needed to run around the mall at least 10 times to burn the calories. 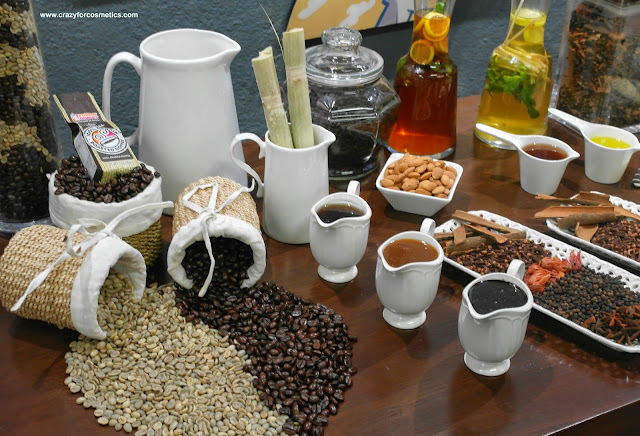 Just like how we change our attire & moods according to seasons, our skin and hair too behave differently every season. 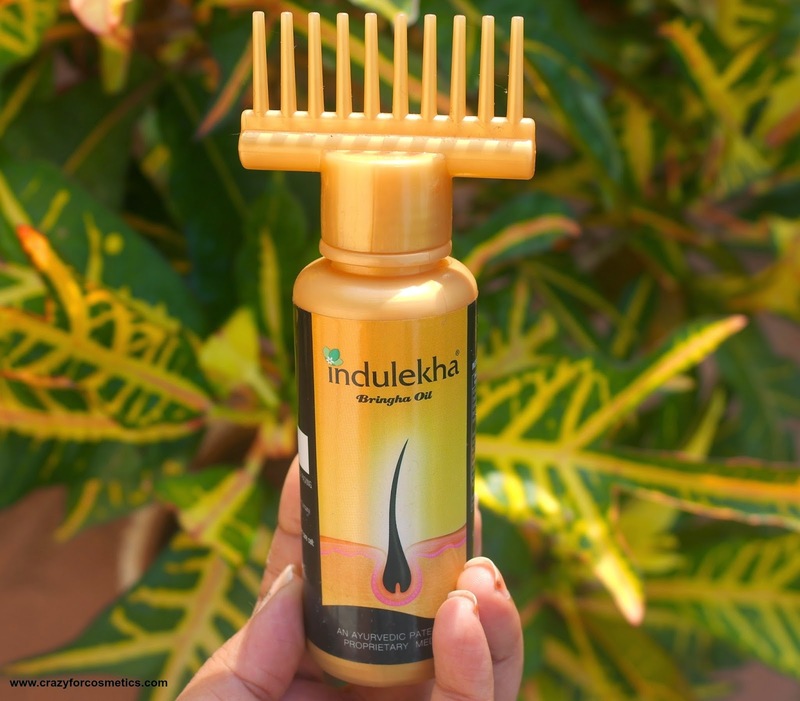 You might have all already heard me complaining a lot about my frizzy dry hair, but for those who are new to this blog, let me explain once more. My hair is very dry and frizzy and it can absorb even half a bottle of oil and continue to look dry and lifeless. So the hunt for the best shampoo and conditioner that can keep it soft and hydrated keeps continuing. In one such desperate buy, I got the Blossom Kocchar Aroma Magic Aloe Vera Cream Shampoo and began using it. This week has all been about a whole lot of affordable , pocket friendly products on the blog and joining the league is Essence Blush in the shade Life's a Cherry. 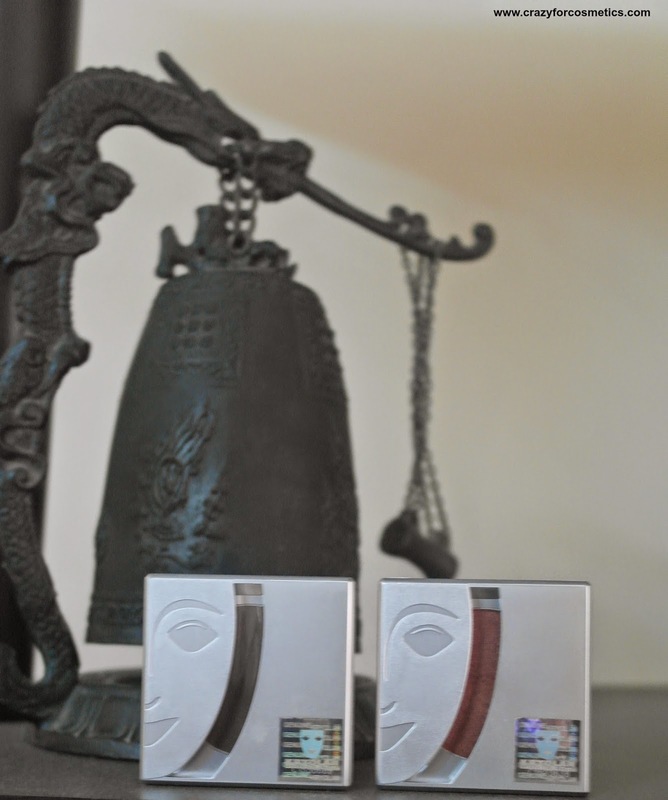 Blushes play an important part in defining the shape of your face and also adding a glow to it. 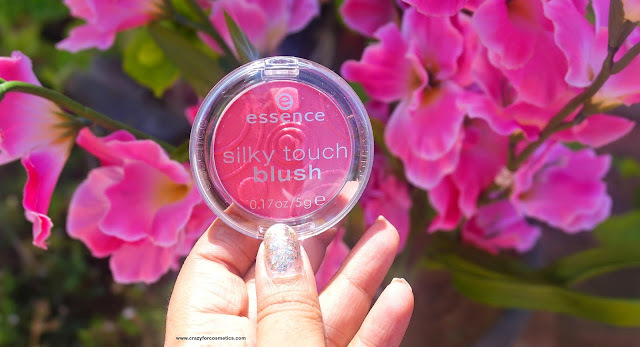 Blushes have to be applied differently for different face shapes - Well that's a chapter on its own.Let's get started with the review of the blush by Essence. You all might have seen my Simple Makeup Tutorial created using Essence products last week. After a tiring day , two things that can rejuvenate me are a cup of coffee and a refreshing bath. Depending on my mood and time available, a refreshing bath can range from just using a relaxing/soothing body wash or using a body scrub followed by a shower , and to top it off some aroma oil mixed with water. 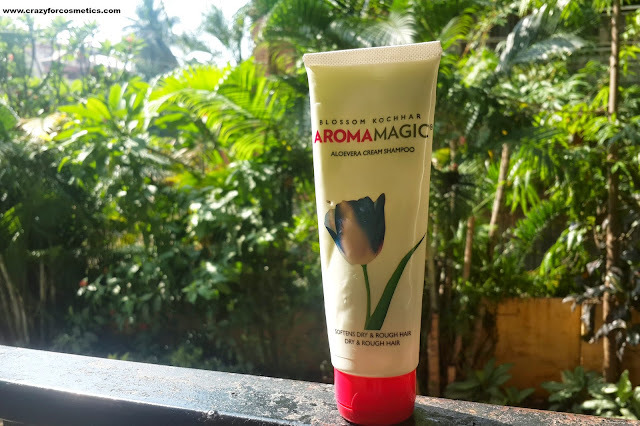 I picked up one such relaxing shower gel ( Palmolive Thermal Spa Shower Gel with White Clay & Thermal salts ) recently and I have been using it regularly now.Palmolive offers some really good shower gels for affordable prices and they have quite a lot of choices too!! 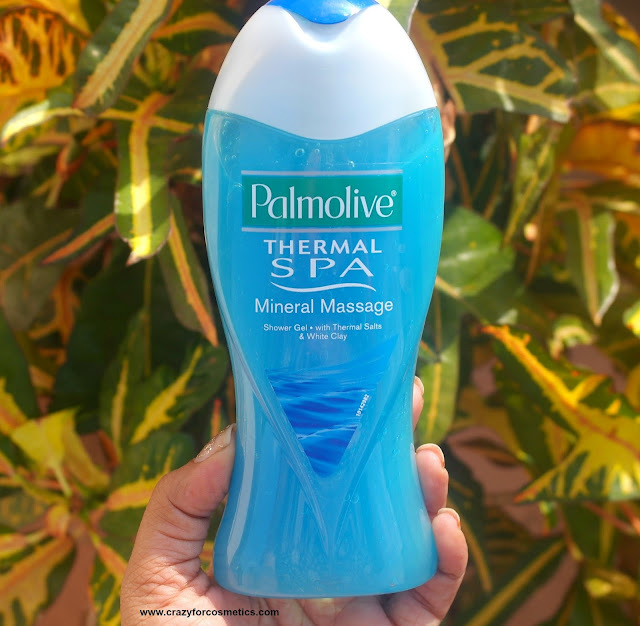 Palmolive Thermal Spa Shower Gel with White Clay & Thermal salts. 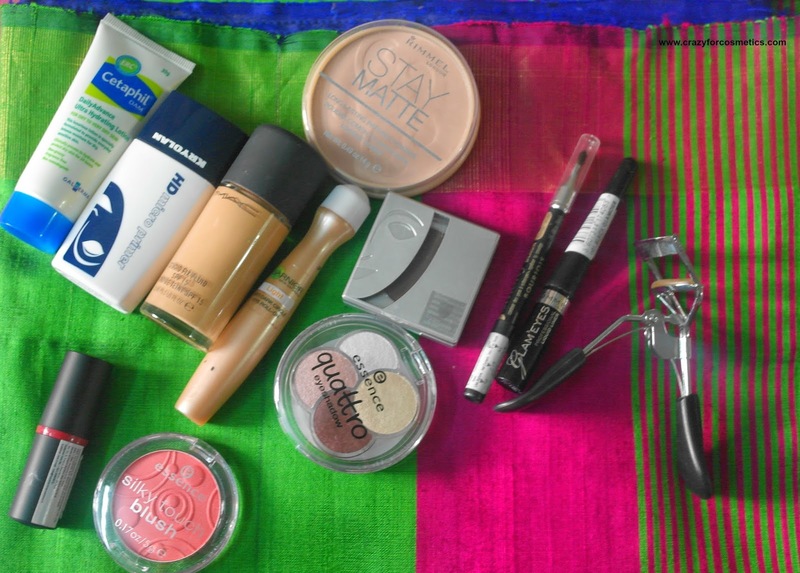 Gone are those days when my makeup kit consisted of only a kajal and a lip balm. Only when I started working did I realize the vastness of the Cosmetics Industry & that I had so much to explore.These days I see even school girls wearing pretty lipsticks and colored eyeliners. One of my recent buys is from Faces Canada which has some real good stuff for affordable prices for the younger generation who can splurge with their pocket money. Selfie Mode is ON !! Not just in my camera but also in my hair oil .Confused ??? The selfie craze did not just stop with Tamil Cinema having songs(Selfie Pulla - of course) related to selfies but also with brands offering selfie products. Gone are the days my mother used to make me sit on Sundays and apply hair oil and massage for close to half an hour. I used to then feel it is such a boring thing to do and give her excuses, but now after my marriage I sometimes long for those days. So whenever time permits I book an appointment at the salon for a hair oil massage, or else its the self service that comes handy. To make life easier, Indulekha Bringha Hair Oil is being packaged in a selfie bottle that lets you apply hair oil to the roots all by yourself. How important is an Intimate Wash to women ? Women are multi-taskers who work, travel , take care of the family and what not ? So where does she find time to take care of herself and maintain her health amidst all this ? So where does the concept of Intimate Wash come in this context ? Women are more prone to urinary tract infection as well as other vaginal infections and it is important she keeps herself clean and healthy . Our personal hygiene is really important so that we stay away from any infections and diseases especially during times of menstruation, travel and so on. So gone are the days we used the same soap for every single part of our body.When face washes can replace soaps for face, why not an intimate wash for our vaginal health? 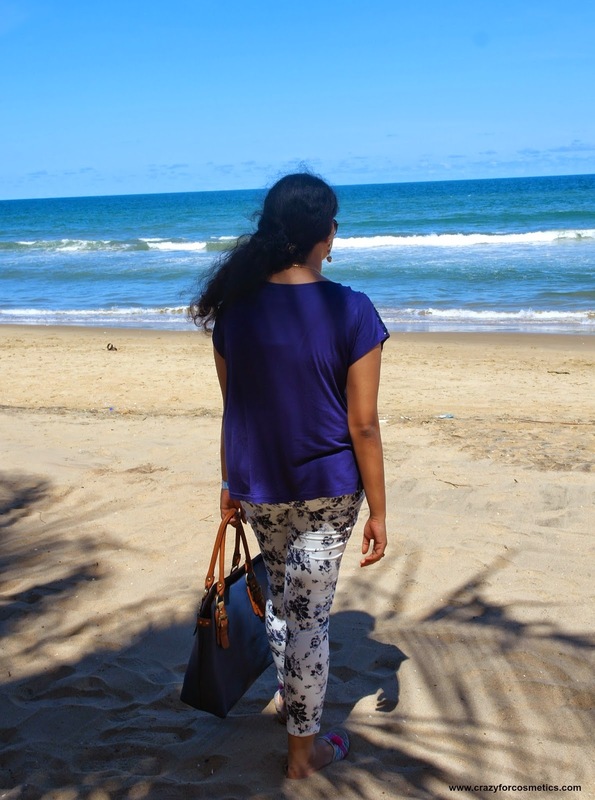 Summers are the best time to hit the beach and relax yourself in the sand by gazing at the shimmering water or by reading a book by the beach side. I am listening to 'Summer of 69' while I write this article. Though I am scared of the tan that I would get , I enjoy summers because that's when you can flaunt your colorful sunglasses, umbrellas, hats & your floral dresses. Every time I have to head out to a get together or attend a wedding , there are a lot of questions I ask myself - What kind of makeup look should I sport ? Whether it would go well with the attire that I have planned to wear? So I decided to do a neutral look that would go well with any outfit or any occasion at any time of the day !! Sounds simple right :) Lets head straight to the tutorial without any further stories. This tutorial is done by using some products that were sent to me by Essence Cosmetics. 3. Long lasting lipstick - 04 on the catwalk! The review of the products would come later in the blog. In continuation to my previous Accessories post, here comes the second post featuring the other accessories given to me by Confusions FA. You can read about them in my previous post here. I cannot find this product on their website but it is one of the best stylish model ever. Recently, I have been hoarding lots of accessories -both traditional & stylish ones. I can never say no to jewelry because that is what defines me and makes me feel complete and confident. The reason I had shared this story was because the long earrings / other accessories that I usually wore , was the first thing that had come to the kid’s mind while drawing a portrait of me. These accessories had defined me, had become a part of who I was and had also become my identity. I have been wanting to get my hands on a orange lipstick for a long time because I was bored of sporting pinks, neutrals and reds and wanted to experiment. Summer is the best time you can experiment with bright sunny colors and what more than orange , which can compliment the summers. I just happened to see the Inglot store and I went in to see if I could spot something really nice. I was checking out their eye shadow refills and I was not quite sure if I needed them. Then I moved onto lipstick section and then found this beautiful orangey - red shade called 103. Some shades are so evergreen that you can use them however and whenever you want. Two such shades that I recently picked up that would go so well with Indian skin tone is a copper & a dark matte brown from Kryolan.